1.1 What is high and normal blood pressure? 1.2 Why is high blood pressure - is it bad? "Blood is a very special juice," wrote the famous 18th-century author Johann Wolfgang von Goethe, but this biological fluid is more than just "special." Blood is a fuel that supports the life of many creatures, including humans. It carries oxygen and nutrients to all living cells, takes waste and transports immune cells to fight infections. An adult has more than three liters of blood that pass through the blood vessels and the heart. This important component of the body also includes platelets that can form clots in damaged blood vessels, preventing blood loss.Also, in the presence of certain factors of influence, blood pressure in the vessels rises, which leads to the development of a certain clinic. Arterial pressure (BP) is the blood pressure that it exerts on the walls of blood vessels during its passage through arteries and in the arms of various calibres. Pushes blood through the vessels of the heart, working as a pump.Checking blood pressure is one of the first procedures performed whenever a patient visits his doctor. Since it is impossible to determine blood pressure simply on the appearance of a person or when listening to the heart, use a special medical device. The measuring cuff of the tonometer is put on the shoulder and then the air is pumped into it until the blood flow through the vessels is limited. Further, the pressure slowly decreases and the cuff detects vascular vibrations. The tonometer shows the systolic blood pressure when the pressure drops so that blood begins to flow into the artery again. Diastolic blood pressure is indicated when the cuff pressure is reduced to the very minimum, and the blood begins to move freely along the artery at the usual rate. What is high and normal blood pressure? Healthy or normal blood pressure is 120 (systolic index) by 80 (diastolic index). In most people, as a rule, blood pressure is at this level or a little higher. Systolic pressure is the highest and is formed during contraction of the heart, and diastolic pressure is the lowest pressure that is formed during the relaxation of the heart. Sometimes blood pressure indicators become too high due to various causes, which are mainly associated with malnutrition, overweight, lack of activity, alcohol consumption, smoking and stress. There are different degrees of increase in blood pressure, divided into five categories. Normal BP: systolic within 120 and diastolic - 80. Elevated blood pressure: systolic from 120 to 129 and diastolic within 80. Hypertension 1 st degree: systolic between 130-139 and diastolic between 80-89. Hypertension of the 2nd degree: systolic at least 140 and diastolic at least 90. Hypertensive crisis: systolic over 180 and diastolic more than 120. It is not necessary that the systolic and diastolic pressure increase simultaneously. If at least one of these indicators reaches these values, they talk about the corresponding degree of hypertension. Why is high blood pressure - is it bad? High blood pressure causes damage to the blood vessels. When blood flows through arteries with too much force, injuries occur that allow fat and calcium to accumulate in the vessel wall. This process eventually leads to the formation of a plaque that blocks blood flow through the inflamed arteries. Also known pathological process by the type of atherosclerosis can cause the formation of thrombi, which also prevents normal blood circulation. These clots sometimes break up and enter the heart, lungs, and brain with blood flow, which leads to myocardial infarction, pulmonary thromboembolism and stroke. Reduce or stop drinking alcohol. Increase the level of activity. Avoid stress and displays of anger. 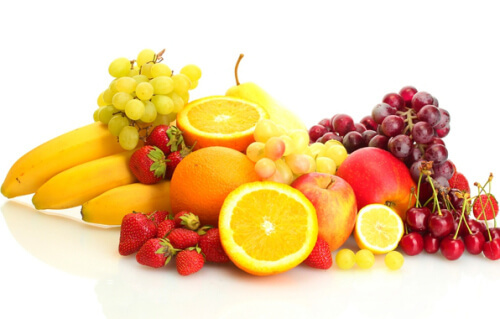 There are healthy foods rich in vitamins and nutrients that contribute to the health of the arteries and blood flow. Certain foods are rich in substances that can maintain the elasticity of blood vessels, inhibit calcium deposits in healthy arteries and promote vascular tone. Nutrients, such as potassium, calcium and magnesium, maintain the state of the circulatory system and have a positive effect on blood pressure. The researchers found that potassium-rich vegetables, such as sweet potatoes, avocados, cabbage and spinach, can help lower blood pressure and improve overall health. In the diet of modern man, sodium prevails most often, and potassium is not enough. This imbalance can increase the likelihood of developing hypertension. Studies have shown that people who ingested more potassium could more effectively control blood pressure. Nitrates are compounds that are also important substances when it comes to lowering blood pressure. They are important in the system of metabolism of the human body, which can convert them into a molecule called nitrogen oxide, which has a connection with the bloodstream. This allows the cells in the arteries to be more elastic, which in turn helps reduce blood pressure. Potatoes cooked in the skin. Deciduous greens, such as Swiss chard and spinach. Vegetable juices from carrots and tomatoes. Fruit juices: prunes, pomegranate, orange, apple. Blueberries and strawberries are especially rich in flavonoids and potassium. Studies show that they can reduce blood pressure by improving the elasticity of blood vessels. Thus, your day is worth starting with a heart healthy breakfast, combining these fruits with a cup of yogurt or oatmeal. Different types of tea are associated with a lower risk of cardiovascular disease. Studies show that such herbal drinks can reduce blood pressure, especially if it is consumed regularly. Green tea contains antioxidants and has the properties of an inhibitor of angiotensin-converting enzyme (ACE).Polyphenols in green tea reduce the absorption of lipids from the intestine and help to convert cholesterol into beneficial bile acids. Evidence from research shows that drinking green tea has a cardioprotective effect, which is associated with the relaxation of blood vessels. These results are due to polyphenols, called catechins. Daily consumption of five to six cups of green tea can help normalize blood pressure and cholesterol. Many studies have evaluated this sour tea and its effect on blood pressure. Tea "Hibiscus" contains antioxidants and has the ability to reduce blood pressure, especially when using its extracts. In one study in adults who had the prerequisites for an increase in blood pressure, an adequate reduction in their systolic pressure was determined after six weeks of constant consumption of hibiscus tea. One of the most dynamic products for normalizing blood pressure is a tiny brown seed, called flaxseed. In a study conducted in 2013, patients who ate three tablespoons of flaxseed per day for six months showed an impressive reduction in their systolic blood pressure. These portions of flaxseed can be eaten in different ways. One option is to try to bake them together with bread products, such as bagels and muffins. Another option is to use them in sauces and salads. Sunflower seeds are another useful product that can help reduce blood pressure. Rich in vitamin E, folic acid, protein, fiber, they are also a good source of magnesium. A day can use one handful of seeds. Also, in order to minimize the consumption of sodium, it is worth snacking with unsalted sunflower seeds. Powerful sources of potassium, magnesium and fiber, nuts are a great way to lower blood pressure. They are a rich source of healthy omega-3 fatty acids, which are needed to fight harmful omega-6 fats. Some nuts can contain many similar fats, so it is important to remember the moderation of consumption of a similar product. There are many types of nuts containing large amounts of omega-3 and a lower amount of omega-6-acids. 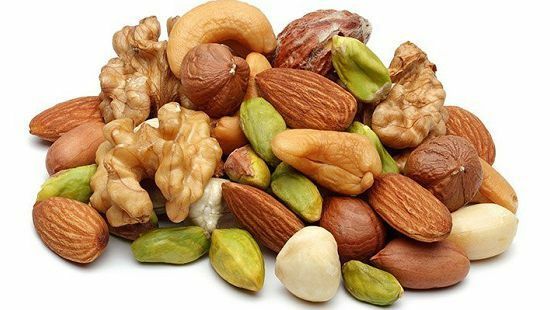 In particular, they include walnuts, pistachios, hickory nuts and cashews, which makes them an optimal choice for lowering blood pressure. Salted nuts or nuts, preserved in oil, will not help reduce blood pressure due to higher sodium and fat content. Adding a little spice to the diet of hypertensive can be exactly what you need to maintain blood pressure within normal limits. Most of the world's population uses herbal supplements to maintain their health, because the body is easier to absorb nutrients, and there are fewer side effects. Curcuma is one of the most striking and therapeutically significant spices. This is a popular curry seasoning, which is used both in cooking and in herbal remedies. The main substance of turmeric is curcumin, which has very impressive properties. The addition of curcumin can support the production of nitric oxide, a component that helps control blood pressure. Oil is used for frying foods, as a salad additive, as well as for replacing animal fat during cooking. There are differences in oils, and not all of them are suitable for hypertonic ration. Replacing bad fats, either saturated or trans fats, with healthier ingredients (monounsaturated and polyunsaturated fats) can help lower cholesterol and blood pressure. When buying culinary oils, it is best to choose "cold pressing" and "pressing with expansion", since they retain all the nutrients that would otherwise be damaged by the heating process. Of all vegetable oils, research has shown that olive oil has the most positive effect on blood pressure. Some oils lose nutritional value and can even cause damage at high temperatures. Oils with a greater amount of monounsaturated fat can withstand higher temperatures, while oils with a high content of polyunsaturated fats are better as an additive or as a fat substitute in preparations. Avocado oil is best for cooking and has a healthy ratio of omega-3 and omega-6 fats. Flaxseed oil and olive oil are best used without heating. However, olive oils can still be used for cooking at a lower temperature. Extensive research shows that dark chocolate is useful in hypertension. The high content of flavonoids in it makes its use quite useful. These flavonoids are in the highest amount in the solids of cocoa beans, which are part of darker sweets. They can contain from 46 to 60 milligrams of catechin (such as flavonoid), only 28 grams of chocolate. Artificial sweeteners are not a healthy substitute for sugar, but stevia can be a safe choice. It is a natural sweetener derived from the leaves of a plant found in a sunflower family. Stevia is a wonderful alternative to sugar, because it is a plant and much sweeter than sugar, which allows you to use smaller portions of sweet. 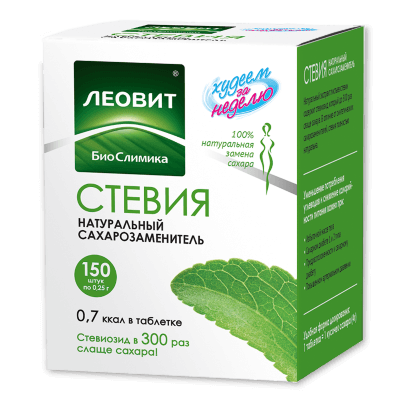 Some studies show that the use of stevia can help lower blood pressure due to the glycosides found in the extract. An attempt to lower blood pressure is not only to take medicine for the heart and blood. Healthy foods also matter in maintaining overall well-being. Sodium and sugar are the most frequent causes of high blood pressure. Since most pre-packaged products contain a large number of these ingredients, it is recommended to use more fresh, more natural foods. In addition, many types of food have a high level of sodium, for example, some dishes included in the Chinese or Italian menu. Fast food (even from the "fat-free" menu). Canned or bottled tomato products, such as ketchup and sauces. Some studies show that a small amount of lean beef is acceptable for a hypertensive diet similar to DASH. However, since red meat can be toxic to the colon, vegetarian diets are the best strategy for maintaining normal blood pressure. While omega-3 fatty acids, such as linolenic acids found in fish, have been associated with cardiac health, it is better to get these nutrients through alternative versions of a vegetarian diet. Otherwise, a high dose of mercury, which is found in many types of seafood, can be provided. Staying healthy is not always easy, but keeping blood pressure with the use of healthier foods is possible and this method should be used regardless of the level of blood pressure. A balanced diet contributes not only to the normal condition of the arteries, but also to maintaining a healthy weight and overall health. Additionally, you need to do daily exercises that can promote normal blood flow. It is recommended to perform aerobic exercise from 30 to 45 minutes five days a week. There is no need to develop these minutes during one workout. It is better to split the total time into ten-minute sessions during the day. Walking, jogging, cycling and swimming are some good options for physical activity, which can have a big impact on the way to health. Video: Which products lower the pressure?